It's not often you'll hear me rave about a salad. It's gotta be G-O-O-D for me to think it's share-worthy! And when I ate this salad at Fireside Pies in Dallas a few weekends ago, I knew I was going to do my best to recreate it at home! It's virtually a chop salad with lots of little bites and nuggets to eat on. And my daughter and I didn't leave a single tidbit of this salad on the plate! We were borderline unladylike. Just sayin'. Every bite of this chop salad is divine. There's something for every one of your senses. Tender buttery lettuce. Creamy goat cheese. Crispy, salty bacon. Earthiness from hearts of palm. And fresh, garden-y goodness from grape tomatoes and avocados. Then it's all tossed in rice wine vinegar and olive oil. It's simple and easy, and I think you're gonna love it! If you've been invited to bring a dish to a friend's house or backyard fireworks show this 4th of July weekend, then this salad is perfect because it can be made ahead, covered and refrigerated, then tossed on the spot! 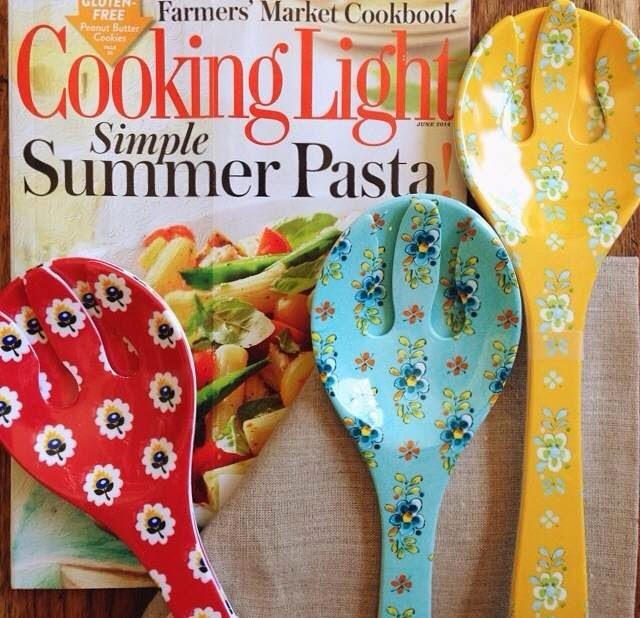 How fun to show up to the party with a set of Euna Mae's melamine salad & pasta servers, tossing the salad, and then leaving the servers as a gift for your host?! It's the least you can do after your husband and teenage sons set their field on fire....right?! 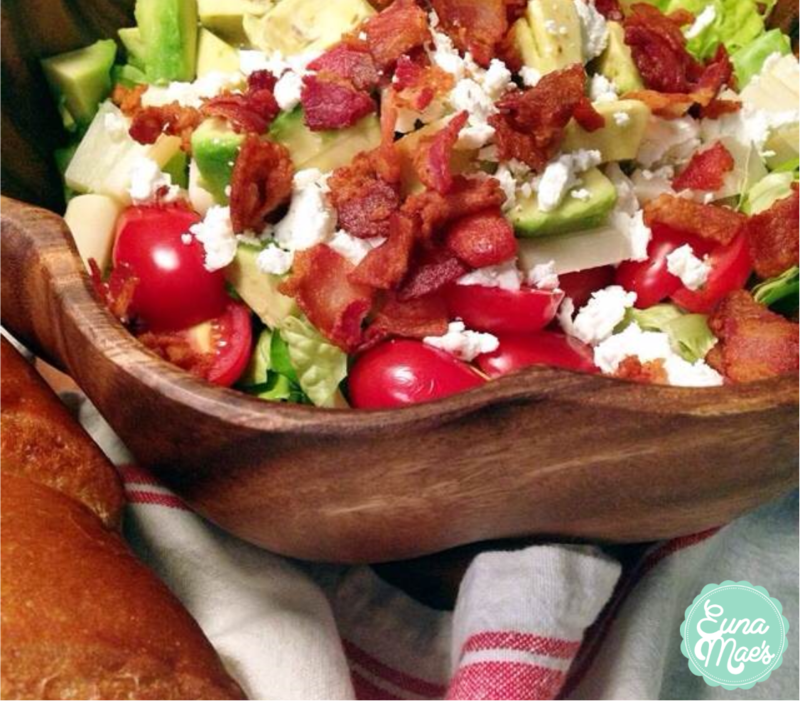 In a big bowl, layer lettuce, tomatoes, avocado, hearts of palm, bacon, and goat cheese. Cover tightly to store at this point if you need to. When ready to toss and serve, drizzle with rice wine vinegar and olive oil, and season to taste. It should be a pretty wet salad. So be sure to coat it well. If you can't find hearts of palm or don't prefer them, you can substitute them with chopped, marinated artichokes! Yum!